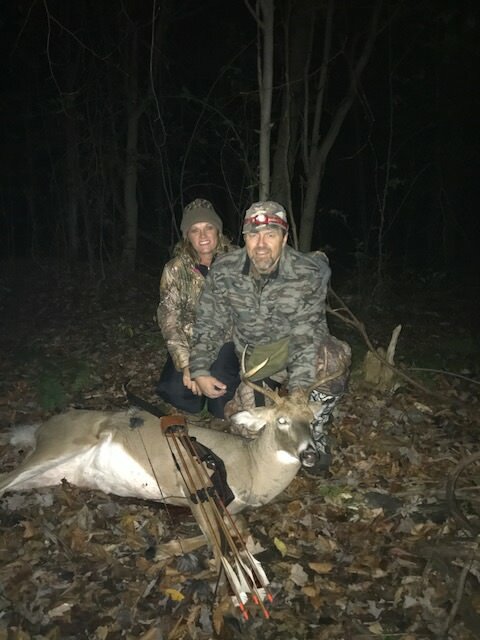 Returned to my stomping grounds in PA for this pre-rut 7pt. My girl tracked and help me drag him out! Good times.